Join our excursion to Cuil Bay on 18th September. 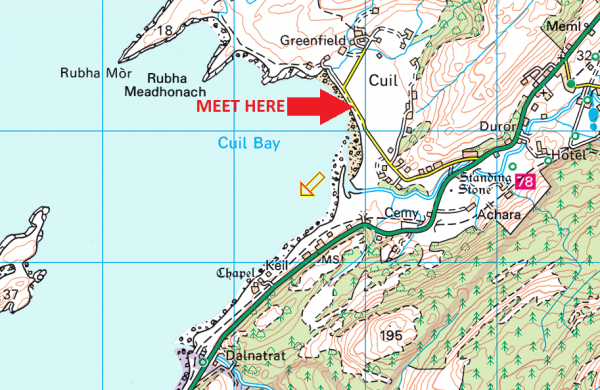 We’ll meet at Cuil Bay waterfront at 10am. This excursion will involve a 6-7km coastal walk on rough, sometimes muddy ground so wear wellies or walking boots. We’ll see Dalradian metamorphic rocks, fool’s gold, igneous intrusions, a volcanic breccia pipe, finishing at the beautiful Tiger Rock. Moderate fitness required. Please bring a packed lunch, stout footwear, waterproofs, cameras, binoculars, walking poles if desired. Cost: £10 donation to Lochaber Geopark, please pay cash on the day. Please book your space by emailing info@lochabergeopark.org.uk with your name and phone number, or call us on 01397 705 314. Also let us know where you’re travelling from and we can help to arrange car sharing to Cuil if possible.